As you might know too well, those of us who live in rural areas of our country toil daily to feed our families without a consistent supply of running water or electricity. We do not have the option of quickly going to the shop to buy whatever we need! We are the mothers, and more often the grannies, who tend vegetable patches out of necessity to enhance the basic diets of our families. With the South African economy downgraded to the lowest level, it just makes sense that more families, even in urban areas, should start planting vegetables to feed their families. To start a productive vegetable patch from scratch can be very intimidating at first. What? Where? How? So many questions that need answers. These days we realise that when working in harmony with nature and not against it, the results are easier and tastier to achieve. 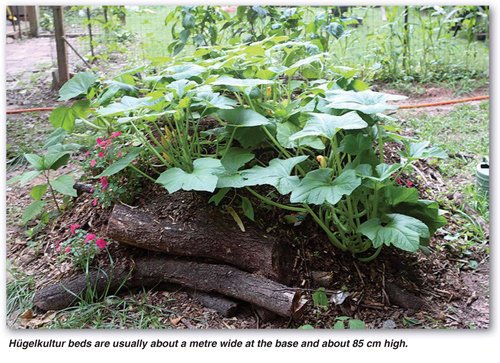 You need to critically look at the area you have available for a vegetable garden. Where in the province you are located in, also influences the answer. Summer or winter rainfall area? Do you get frost? Doing proper preparation is very important otherwise you end up wasting time trying to correct soil conditions later on. In winter rainfall and cold Highveld areas, June is great for planning and preparing so that planting can start in July. Lowveld and other frost-free areas like the KwaZulu-Natal coast and Limpopo are perfect for planting vegetables in June already, so preparations have to be done beforehand. Vegetables need sunlight and enough deep, fertile soil that drains well, to grow in. If the ideal situation is not present in your area then you need to take steps to correct it. 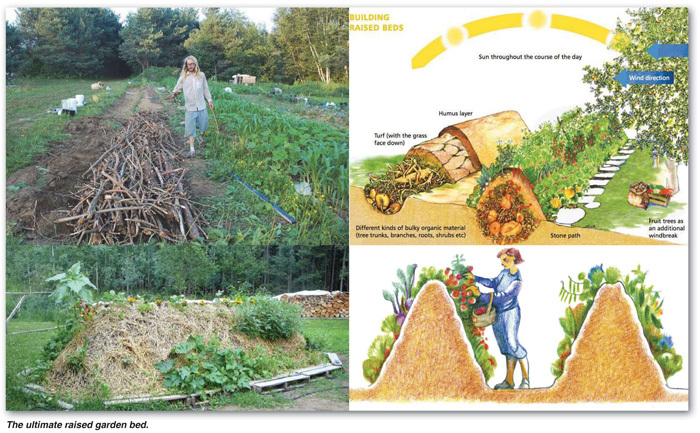 A very interesting method to build garden beds that will last for a couple of years is Hügelkultur beds. 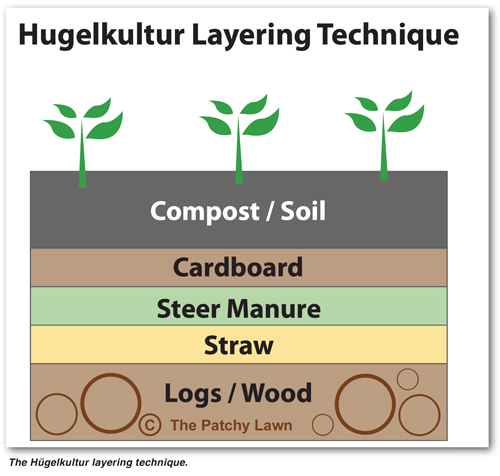 Used by Permaculture and organic farmers, Hügelkultur stems from the German word meaning hill and was used by German and East European societies for hundreds of years. It is popular because it uses all the so-called waste found in gardens and around the home. Another way of thinking about it is as a ‘closed loop’ farm where all the plant waste and excess is worked back into the farm or vegetable patch. Here though it is important to remember to never return sick or unhealthy plants or leaves back into the loop. It is better to burn it and then use the ashes in the beds instead. Hügelkultur copies the natural process of decomposition and the process provides water, food and structure for plants grown on top or near them. These beds are quite easy to construct and should provide a few season’s growth. They are usually about a metre wide at the base and about 85 cm high and as long as you want to make them. The big bonus of this growing system is that it can continue producing vegetables for a number of years as the materials inside break down. In the first year, crops such as maize, pumpkin, tomatoes, potatoes, cabbages, beetroot and spinach can be grown, followed by crops like beans, peas and squash. Interestingly maize, squash and beans make a very successful combination. The beans set nitrogen into the soil where it is available for follow-up crops. The maize plants provide a natural support for the beans to grow up against and the large leaves of the squash shades the soil to keep it cool and retain moisture. As the vegetables are harvested their discarded leaves and stalks become the basis of the next bed. Keep in mind not to sow all your seeds at once but do follow-up planting and sowing with 10 - 14 days in between so that you do not end up with all your vegetables ripe and ready to harvest all at once. Regularly harvest (picking leaves as needed) crops such as spinach, lettuce and other leafy crops, as that stimulates new leaf growth. With less crops growing in winter it gives you time to tackle the larger maintenance jobs such as preparing new beds, removing dead plants (remember to burn the sick plants) and generally tidying the garden to be ready when spring planting can begin. Leafy vegetables might need extra protection from the cold or possible frost and they can be lightly covered with hay or shade netting or proper frost guard cloth. Watering can be reduced to about once a week (under normal regional weather conditions) and then in the mornings to allow the soil to dry off before the cold of night. 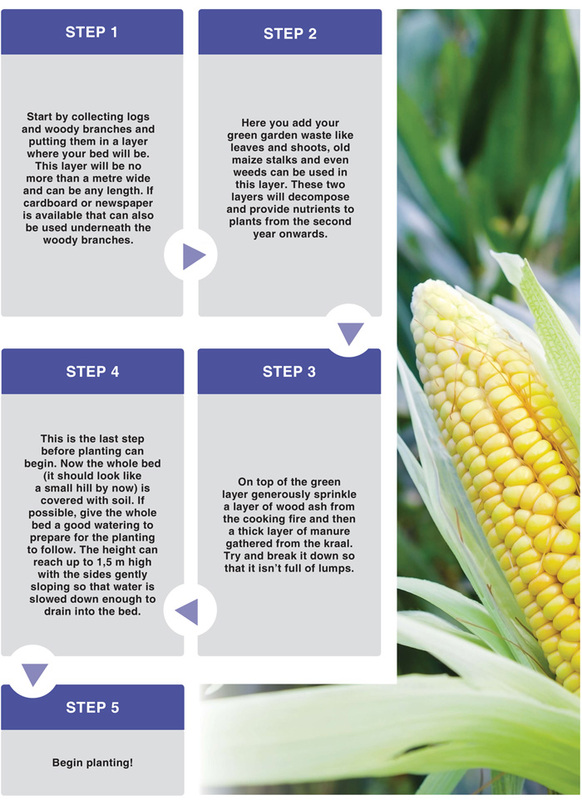 With winter coming to an end you will be well-prepared to make the most of the spring growing season! Article submitted by Theresa Wilmot, Freelance writer, Western Cape. For more information, send an email to Slabroller@gmail.com.